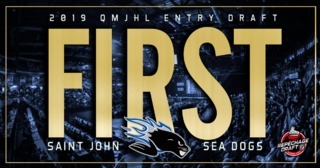 The Rimouski Oceanic put together a wildly successful first month of 2019. One of the driving forces behind this leap through the league standings was winger Alexis Lafreniere. 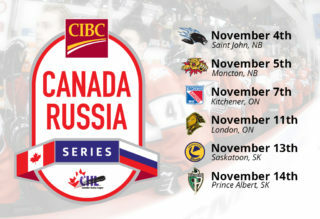 Rejoining the Oceanic immediately following his stint with Team Canada at the 2019 IIHF World Junior Hockey Championships, the 17-year-old from St-Eustache, Quebec hit the ground running, registering at least a point in all but one game played during January. The second year forward also racked up six multi-point games and was a +12 over the month. Highlights of Lafreniere’s 21-point month were a pair of three-point outings, a two goal, two assist effort on January 27th against the Blainville-Boisbriand Armada and four game winning tallies over the course of his final six outings of the month. As a result, the Oceanic are also on a roll, closing out January on a seven-game winning streak. 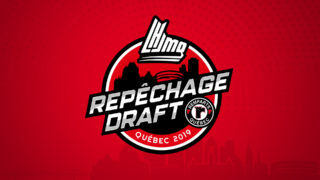 The first overall selection in the 2017 QMJHL Entry Draft and a top prospect for the 2020 NHL Draft, Lafreniere enters the month of February as the third leading scorer in the “Q” with 74 points in 43 games. His 48 assists are good for second place in the league in that department. Being the captain of the top team in the league is both a great honour and a formidable challenge. Rafael Harvey-Pinard of the Rouyn-Noranda Huskies has accepted the challenge with tremendous success. The third-year winger from Jonquiere, Quebec thrived away from Iamgold Arena last month, posting 11 points in seven road games, including a four-point night against the Armada in Blainville on January 23rd. Harvey-Pinard, who turned 20 on January 6th, was also an impressive +15 over the course of the month. He currently sits second on the Huskies in scoring with 60 points, including 28 goals, in 50 games. An alternate captain for Team QMJHL at the 2018 CIBC Canada/Russia Series, Harvey-Pinard was invited to NHL training camp with the Vegas Golden Knights this past fall. In order to lead any league in goals scored – much like the Drummondville Voltigeurs are currently doing – receiving offensive contributions from the defense corps is a must. Leading the charge from the Voltigeurs back end is Nicolas Beaudin. The 19-year-old from Chateauguay, Quebec recorded at least one point in 11 of 12 games during the first month of 2019. The fourth-year veteran was particularly impressive at the start of January, racking up 11 points during the first five games of the new year for the Central Division leading Voltigeurs. Beaudin also produced a +18 rating in January, including an eye-opening +6 showing versus the Shawinigan Cataractes on January 5th. 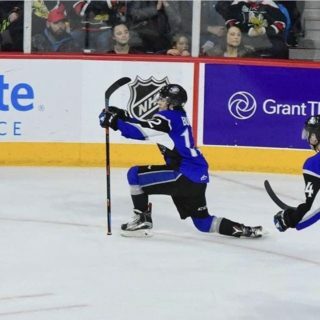 Selected by the Chicago Blackhawks in the first round, 27th overall, at the 2017 NHL Entry Draft, Beaudin’s offensively charged month has vaulted him into third place in league scoring among defensemen with 44 points in 36 games. His +48 rating places him in a tie for first place in the QMJHL entering the month of February. 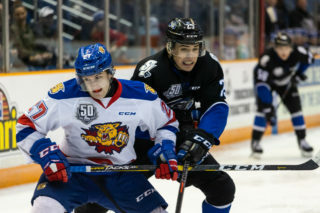 Acquired by Rouyn-Noranda from the Acadie-Bathurst Titan on QMJHL trade deadline day, Dobson made an impression in his Huskies debut, recording three assists on January 11th against the Wildcats in Moncton. The third-year blueliner from Summerside, PEI didn’t disappoint his new home fans either, serving up a pair of helpers in his Iamgold Arena debut on January 17th against Val d’Or. A first round selection of the New York Islanders at the 2018 NHL Draft as well as a Memorial Cup Champion with the Titan last May, Dobson made his way to the Huskies after representing Team Canada at the 2019 IIHF World Junior Hockey Championship. The Sea Dogs are banking on a bright future at Harbour Station. One of the leaders of this youth movement is Slovakian winger Maxim Cajkovic. The 18-year-old, who celebrated his birthday on January 3rd, put up a season-high six game point streak during the month as the Sea Dogs continued to jockey for a postseason berth. Other highlights for Cajkovic included a three-point effort on January 9th against the Shawinigan Cataractes as well as his first career four-point night in the “Q” on January 12th against the Acadie-Bathurst Titan. 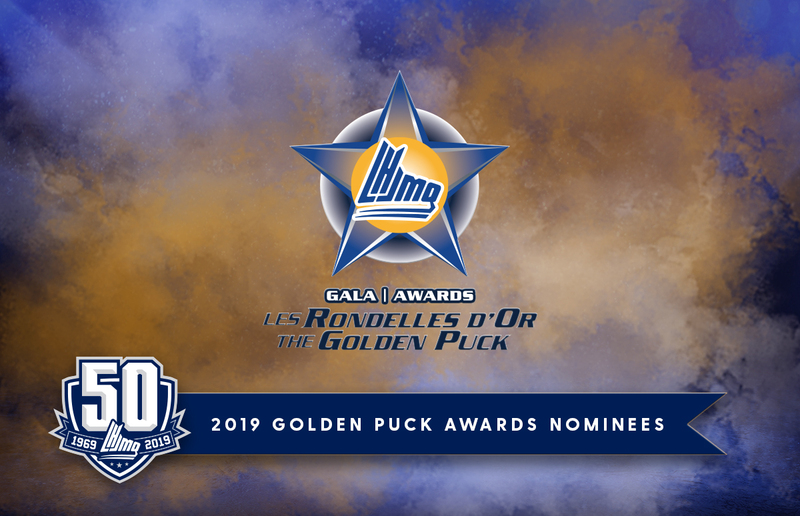 Cajkovic’s body of work in his first QMJHL season did not go unnoticed by the scouting world as he was selected to the Sherman-Williams CHL/NHL Top Prospects Game, held on January 23rd in Red Deer, Alberta. Cajkovic currently leads the Sea Dogs in scoring with 34 points in 41 games. Entering the month of February, he sits sixth in the league’s rookie scoring derby. His 15 goals place him in a three-way tie for second place among all freshmen players. Following the latest QMJHL trade period, it became apparent that the Charlottetown Islanders were looking towards the future in many regards. With talented first-year blueliner Lukas Cormier in the fold, that future is looking bright. The 16-year-old from Sainte-Marie-de-Kent, New Brunswick registered points in seven of eleven games on the month, while his five goals during that span more than doubled his output for the entire season so far. Facing the powerful Rouyn-Noranda Huskies on January 12th, Cormier scored twice, the first multi-goal (and multi-point) game of his QMJHL career. The fourth overall selection in the 2018 QMJHL Entry Draft, Cormier sits third among all rookie rearguards with 21 points in 42 games.